So pretty and great dies. Thanks for sharing with us at Open-Minded Crafting Fun. So cute! Love the embossing and die cut! It's so elegant with all the white. So pretty I love your butterfly!! Beautiful card, gorgeous design, thanks for joining us at Open Minded Challenges this fortnight. This is beautiful!! Love the embossing! Love all the white and bit of silver! Gorgeous!! Thanks so much for playing along with us at Open-Minded Crafting Fun Challenges!!! Good Luck! I hope we see you again!! What a beautiful card. 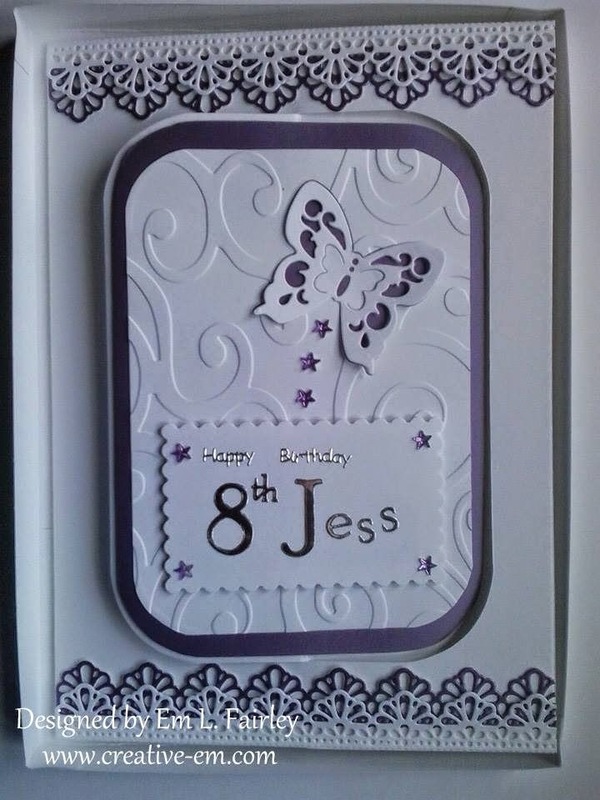 Love the die cute borders with embossing and butterfly. Thank you for sharing and joining us at Scribble and Scrap Challenge. Beautiful card. Thanks so much for joining us over at Open-Minded Crafting Fun Challenges, good luck and hope to see you again.